Today will be another installment of my happy entrepreneur series. If you miss the last post in this series, then you can check it out here. One thing that I touch upon in the last post, was my love of reading stories about businesses and business owners. So today I will be sharing some books that I have enjoyed reading and think that other handmade shop owners would enjoy as well. First up is The Handmade Market Place by Kari Chapin. I have talked about this book so many times on the blog because its really a good book for beginners. Chapin does a great job of walking you through the steps on how to take your handmade business dreams and turn them into reality. This is a book that I go back to time and time again, when I'm wanting to re-event my shop. I would totally recommend this book to any beginner who is wanting to start a handmade business. If you want to know more about this book, then you can read my full review here. Kari Chapin also published another book called Grow Your Handmade Business: How to Envision, Develop, and Sustain a Successful Creative Business. This is her follow up book to The Handmade Market Place. In a nutshell this book contains more specific information about how to grow and expand your business. Some of the topics she covers are writing business plans, managing your time and dealing with money (like grants, loans and budgeting). Another book that I think some shop owners would enjoy is I Just Like To Make Things Learn The Secrets To Making Money While Staying Passionate About Your Art And Craft by Lilla Rogers. This book is about how to become a successful artist while still loving your craft and keeping your sanity. In the book Rogers talks about how to stay inspired, the secrets to success, understanding different markets and setting goals. Rogers also does a great job explaining the differences between the needs and wants of different creative markets. I feel this book would be great for a beginning artist who is trying to learn more about the creative industry. I also think this book would really be great for any illustrator or graphic designer. If you want to learn more, then you can check out my full review here. 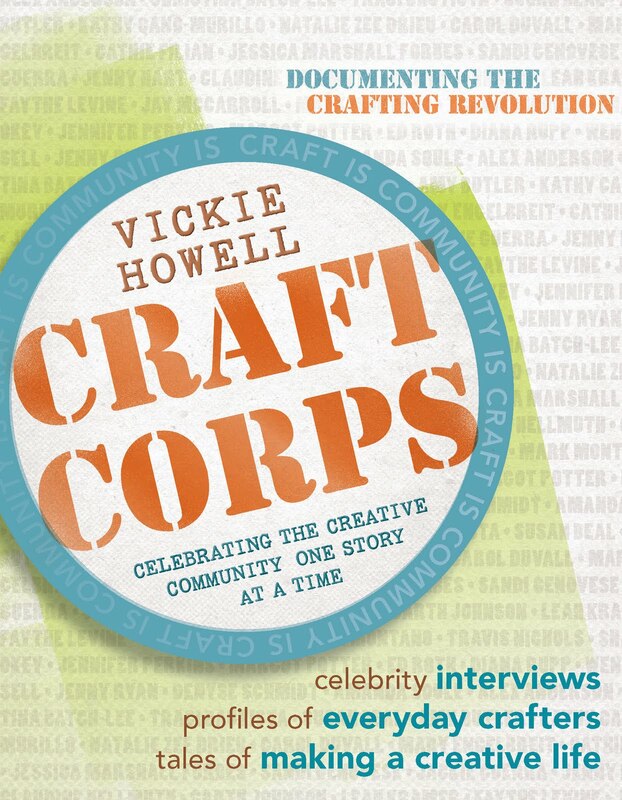 Finally a book that I think is just fun to read is Craft Corps: Celebrating the Creative Community One Story at a Time by Vickie Howell. In the book, Vickie Howell interviews tons of ''crafting'' celebrities like Cathie Filian, Carol Duvall and Mark Montano. She asks them questions about their life and their journey into the craft world. Each story is really inspirational and totally different from the next. For me reading about each persons struggle and success is really inspiring. I love this book and would recommend it to any craft lover. If want to read more about this book you can check out my review here. So those are just four books that I think some of you would enjoy reading. If there any books that you enjoy reading or if you have thoughts on the books above leave a comment below. I also really enjoy reading about entrepreneurs and business owners who have been there/done that. I find their stories encouraging and inspiring :) especially as a small business owner myself. I recently read a fantastic book for entrepreneurs out there that really helped to put things into perspective. The book is called "Liber8 Your Business" by author Laura Humphreys (http://liber8yourbusiness.com/). The website allows you to sample the book before you buy it! The author on her own is reason enough to read this because she started as a secretary in an advertising agency and went on to build a multimillion dollar business; her motto is: if a secretary can do it, anyone can! It was great to read about someone who I can relate to and respect. The book focuses on a revolutionary planning technique of planning backwards! She recommends setting up an end goal and then working backwards from there setting smaller goals along the way. The book is super helpful and includes exercises, tutorials, and other useful tools (including a workbook!) that helps with building your own unique plan. I think it's a fantastic interactive read and cannot recommend it enough.